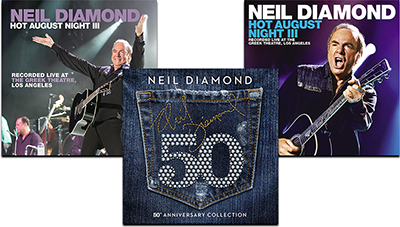 In celebration of the 40th anniversary of the original Hot August Night, Hot August Night III brings Neil back to Los Angeles's historic Greek Theatre to perform his greatest hits. 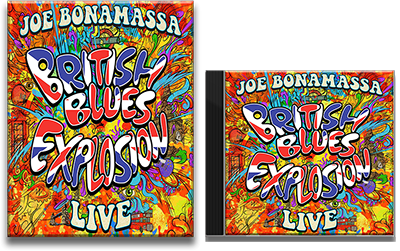 The 2-CD set features 39 tracks and companion DVD. A 64 page color paperback book featuring many photograph remembrances from the Greek Theater performance featured in the PBS show. It also includes pictures of the performers and some vintage photos. Only available to PBS stations. 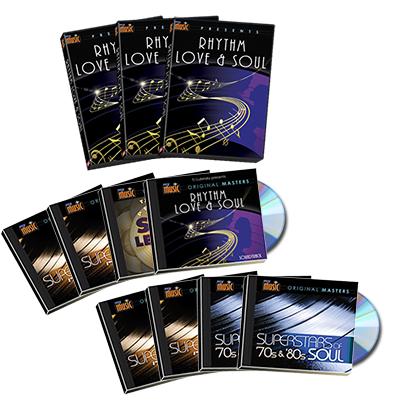 The 50th Anniversary Collection is a celebratory music package marking the 50th anniversary of the iconic, Grammy Award-winning and Rock and Roll Hall Of Fame member. From his first hit 'Solitary Man' onward, this 3-CD package includes 50 songs that cover Diamond's 50 year career. Under the supervision of Diamond himself, the set includes his own handpicked selection of material.